Clerical comedy/mystery as Alec Guinness stars as G.K. Chesterton's legendary detective minister Father Brown in the struggle to track down some international thieves. 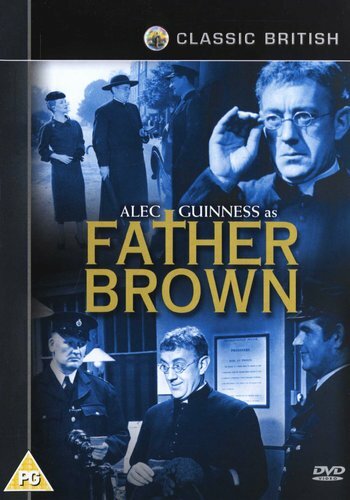 When Father Brown (Guinness) hears that Flambeau (Peter Finch), international art thief of high repute, plans to pinch a priceless cross once owned by St. Augustine, he delights in the challenge. 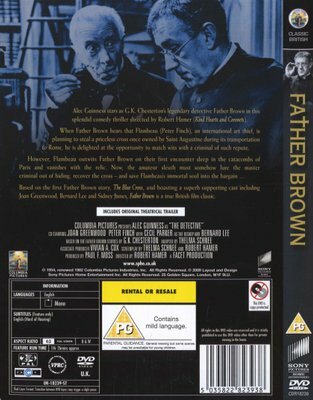 The cross is to be transported to Rome and this is when Flambeau plans his daring theft in the guise of a priest himself. Father Brown, however, is an unabashed master of disguise and gets between the dastardly crook and the costly cross without breaking sweat.